April 23, 2019 – HCAP Partners announces its investment in Mission Healthcare, a leading home health and hospice services provider headquartered in San Diego, CA. March 26, 2019 – HCAP Partners announced its investment in Confirm BioSciences, a leader in high-quality diagnostic testing and health & wellness solutions for both the corporate community and individual consumers. 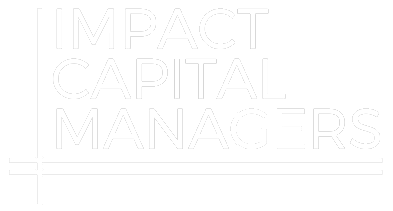 March 08, 2019 – HCAP Partners has been selected for the ImpactAssets 50 2019 (IA 50) investment fund showcase. This marks the sixth consecutive year that the firm has been recognized as an IA 50 fund. January 30, 2019 – HCAP Partners announces the promotion of Bhairvee Shavdia to Senior Associate. October 16, 2018 – HCAP Partners announces its investment in Arosa+LivHOME, a premier national in-home care provider for older adult Americans and their families. October 04, 2018 – HCAP Partners announced that Impact Associate Bhairvee Shavdia has been selected for Aspen Institute’s Job Quality Fellowship. Hosted within Aspen Institute’s Economic Opportunities Program (EOP) and supported by Prudential Financial and Ford Foundation, the 2018-19 Fellowship includes seventeen leading innovators working to advance job quality in the United States. October 2, 2018 – HCAP Partners announced today that Fortive Corporation (NYSE: FTV) has acquired Accruent, Inc., a leading provider of physical resource management software, for approximately $2.0 billion in cash. June 20, 2018 – HCAP Partners announces that Principal Hope Mago, will join the Local Initiatives Support Corporation (LISC) San Diego Advisory Committee.